First, it is indeed a shame that Machu Picchu is not quite the peaceful, moderately visited and hard to get to place that it once was. And it is of little consolation to point out that many other places, both internationally as well as the US (here’s looking at you, Colorado!) are also no longer their quaint, former selves. Second, but with that said, the entire experience is still magical if you let it be. For us, the best way to do that is to try to picture what it all was like during the construction of this incredible place. Make no mistake about it, Machu Picchu is one of the greatest “cities” ever built anywhere, by anyone in any time period. Its utterly gorgeous and breathtaking location is a mountain lover’s fantasy. The stonework is almost beyond belief, it is so perfect. And the engineering that would have gone into it’s planning ….. well, see for yourself. Its overwhelming if you take the time to consider it. Ignore the crowds and picture how they could have built it. How long cutting each stone must have taken. How many millions of stones are there. Their size. Many of them are carved to mimic the shape of the mountains behind them. The water channels that went through the entire complex. The sheer enormity, size, and intricate features of Machu Picchu are without equal almost anywhere on Earth. So enjoy it ! 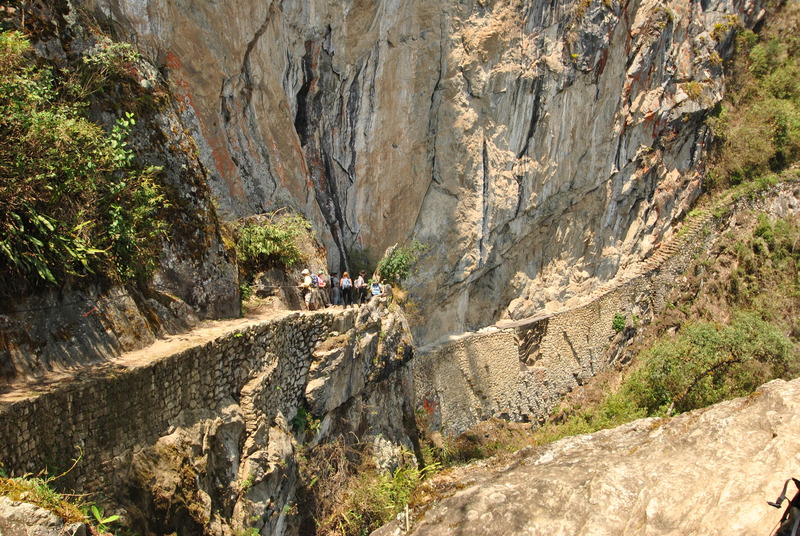 Third, there are dozens of treks, and hundreds of Inca sites, without the crowds of Machu Picchu. Go there. Ask us, we can help. 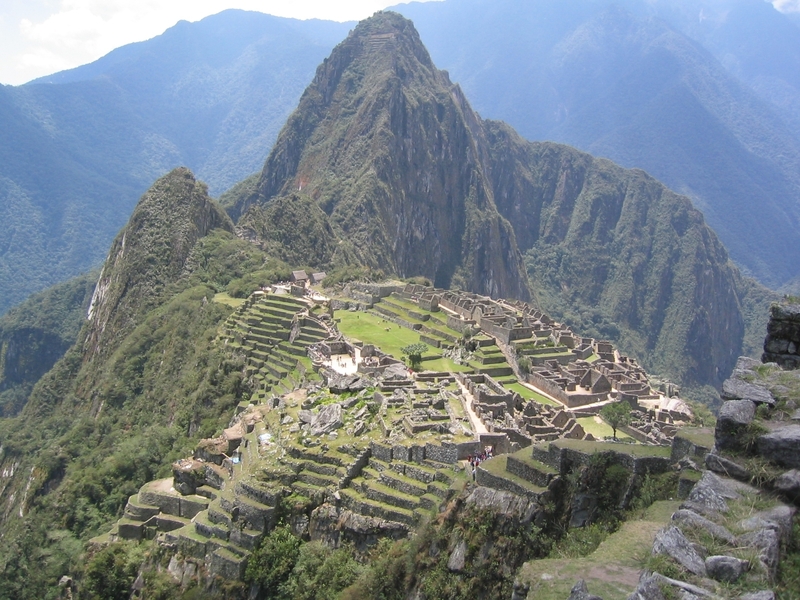 Fourth, when you visit Machu PIcchu be happy. Enjoy it, and allow yourself to be an amazed, open minded, “tourist”. That’s a great way to visit the site! Almost everyone is there for the first time. So ask strangers to take dorky photos of you and your friends. Its all good. Lastly, stay as late as you can. The crowds do thin out. Do not miss the Inca Bridge, hike to Inti Punku Sun Gate if you can, try to get Huayna Picchu tickets if you can, but if you can’t dont stress about it. Go to the far corners where no one else wants to go. You’ll find some peace. (just not between 9am and 2pm, haha). Or, since all hotels/hostals between Cusco and Aguas Calientes all are roaring loud activity by 5am anyway, just go early. First bus heads up to the site at 5:30am. If you got in line at 5am, thats a peaceful 30 minute wait and then you will be amongst the first there. Also a good option. 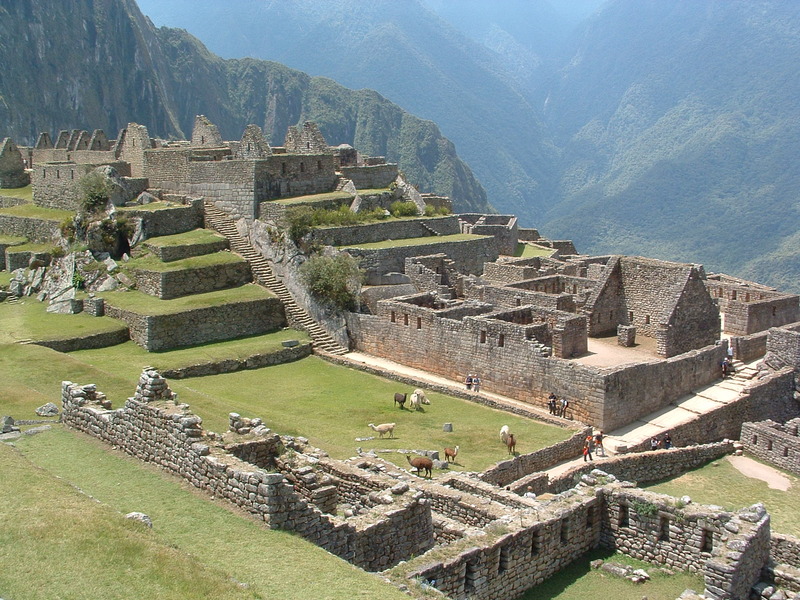 There are now two different “Standard Entrance” tickets to Machu Picchu. One is the a.m. ticket (‘first turn) which is valid from 6am until 12pm noon, and the second turn, p.m. ticket valid from 12pm until 5pm. The ticket cost is 150 soles. In US Dollars, is approximately $47. 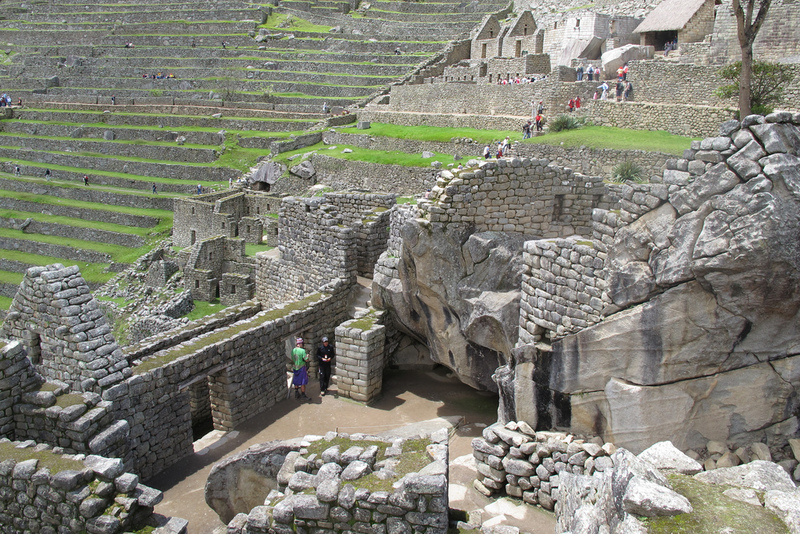 Both these tickets allow you to visit the general site, also the Sun Gate, and also the Inca Bridge. 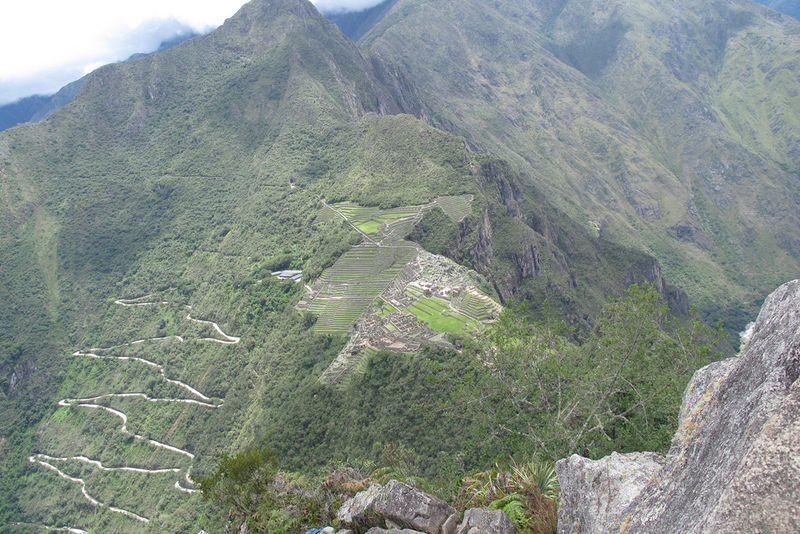 There are two other types of tickets, one to have access to the climb up Huayna Picchu Mountain, and the other to have access to climb up Machu Picchu Mountain. Both of these mountain ascents are inside, and part of, the overall park of Machu Picchu. But they are gated off and you are not allowed to continue without the proper ticket. You dont need either ticket, they are optional. You can not get both, you can not do both hikes in one day. If you buy either of them, you are also granted access to everything that is in the Standard Entrance ticket described above. To our knowledge, they are not currently enforcing the morning and afternoon general entrance tickets. In other words, there is not yet a colored wristband for example, that would identify you as a morning ticket person, and thus not allowed to be there after noon. Our expectation is they will slowly phase in a system like that, beginning in 2019, but as of now there isnt one. You can leave up to twice to use the restroom or buy a snack (NO restrooms inside the park!). You WILL NEED YOUR PASSPORT or a very good photocopy. There are reports of guides being mandatory. We also have not seen evidence of this, but expect that to be phased in soon also. The idea is that they would help bring some structure and better flow to the visitor experience of seeing the site. In their defense, the site is huge. people get lost, stuck in dead corridors, unable to access a part they want, quite often. And with the very narrow and steep staircases, they had to make some of them uni directional. It makes good sense if you think about it. And with narrow passageways, one person stopping twenty minutes to chat or take photos can back up the entire park ! So guides will help that flow better. Note that so much of this is due not to the crowds but the fact the Incas designed this place to be easily defensible, and to keep the riff-raff commoners and workers away from the royal elite, etc. So in a way its not the crowds or the authorities fault that the city is hard to navifate – it was designed that way ! © 2018 Trekking Peru | Peru Trekking | Trekking Machu Picchu All right reserved.